Any question as to whether free tracks on places like SoundCloud will dampen demand for purchasing music ought to be easily put to rest; to me, they only whet my appetite for more. (In fact, where are even paid links to higher-quality downloads? Only a couple of mixes are available. I’d gladly pony up for this whole set.) 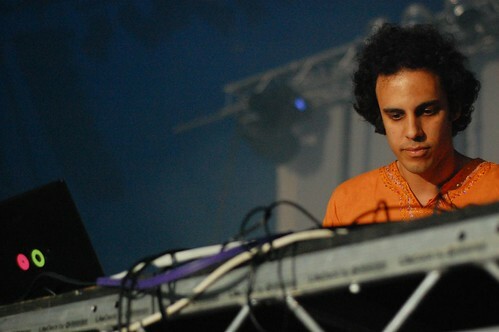 Here, Four Tet remixes Jon Hopkins – another English virtuoso of rich, digital sounds – and Hopkins remixes Four Tet, and Caribou and Mosca remix Four Tet, and Four Tet plays live here in New York at Le Poisson Rouge. Premium-quality productions, all.